Zul'jin is a new Hunter Hero card and Splitting Ice is a new Mage Secret coming in Rastakhan's Rumble. The card was revealed by Amazing LP神奇的老皮 and the reveal video can be found here. The card was revealed by 旅法师营地. The Hero card is crazy. I bet this will lead to a new kind of control/spell hunter. You can easily fill your deck with usefull spell and maybe a beast package, then play the hero and gain the effect you would want Yogg to do for you. Hunter has a good set of spell for clearing the board, filling your own side with beasts, and even shuffling thing in your deck and draw something with the new draw 3 spell. Yeah, Zul'jin seems not like a bad card in itself. 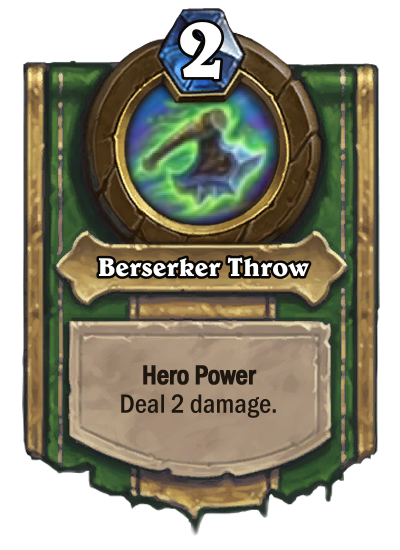 Spell hunter is already a good deck and Zul'jin could summon you a bunch of Beasts, Secrets and stuff. BUT until the rotation, Deathstalker Rexxar is still one of the most powerful cards in the current meta. He is way cheaper, has a better (and more versatile) heropower and works way better against control decks. Bottomline: You should keep an eye out for Zul'jin (HA! See what I did there?) but I would not be suprised if he hits the meta mostly next season. 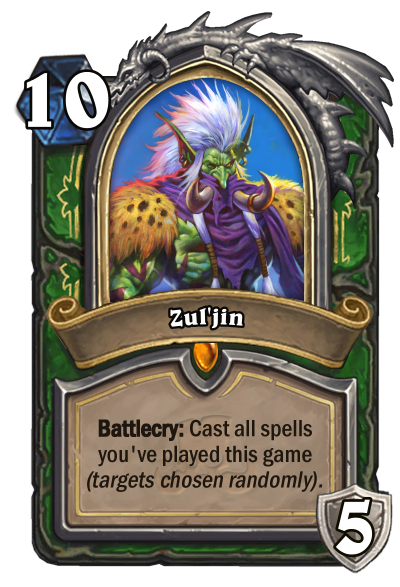 I do agree that Zuljin is potentially a very powerful card, but hunter is currently using a lot of targeted damage spells as well, and these could backfire somewhat. I feel like Zul'jin is a downgrade from Rexxar DK. 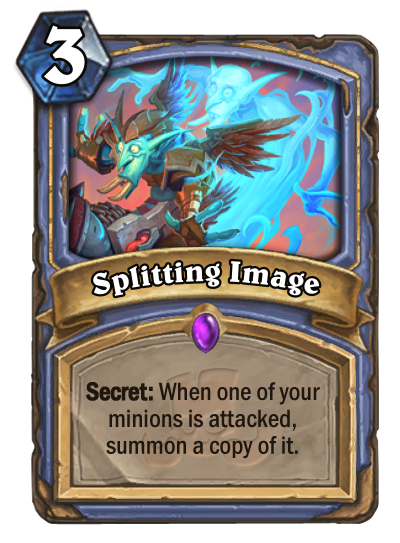 I like it in secret hunter though, play Tracking, secrets, spellstones and etc. I am disappointed by his hero power though. They could pick something with some flavor, insetad of going with Steamwheedle Sniper'd Rexxar hero power.